As some of you may be aware if you follow me on twitter (justkatieeblog), you will know that I am attending the Aintree Grand National in April and I'm SO excited! I've never been to Aintree races, even though I have been to the races before but in York. My mum and dad go every year and they always have such a fab time so my boyfriend Jay and I wanted to get involved and decided that 2017 was the year we'd go. 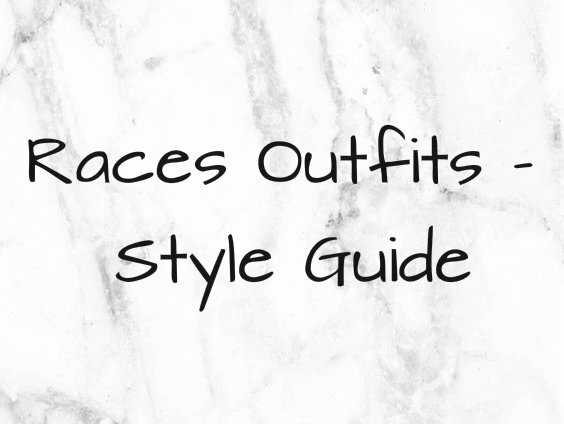 I thought with it being just over 2 weeks away I would share with you some of my favourite fashion picks for the races. I've got to say - I think this is my favourite outfit and I think it's the one I'm going to wear for the races in April. I love the colours so much. I think the skirt is really flattering on any shape and the best thing about it is it's SO comfortable. The top half is a gold and pink colour and is quite structured but also flattering. I love it. I think this dress is beautiful and so different. I particularly love the purple colour and the floral accents. I think it's very understated but would look amazing at the races. Paired with a facinator and black accessories I think it's a great style steal from Boohoo. This Red dress is similar to the one above and I love the style. I think it's very flattering and I really like the low back too; and of course the colour - I'm obsessed with this deep red. Again, this is a great dress for the races and could be dressed up with some beautiful accessories. I'm not 100% sure how I feel about maxi dresses at the races. This one is very similar to the one I wore at my grad ball (check out my instagram for pictures). I love the style and these types of dresses I find are quite flattering on me, but I think I would prefer a midi style dress for the races. If you can't already tell, I love this blush colour though, it's just so beautiful. Again, this is a beautiful blush pink midi dress. I like the wrap detail of this because I think this style would suit lots of different shapes and sizes. 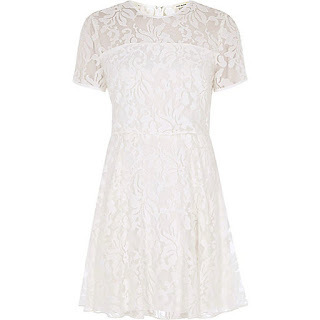 I love the lace detail on this skater style dress. I think it's really pretty and very summery. Again, white colour will make you look really tanned and the beauty of wearing white is that you can accessorise with any colour. I think fuchsia pink, bright red or a deep blue would look fabulous. My final pick is this beautiful baby pink lace detail midi dress. It looks like something from a fairy tale and I love it. I really like the capped sleeves because the tops of my arms are a part of my body I'm not the biggest fan of. I just love it in general and I think it's girly yet sophisticated - perfect for a day at the races!